All the latest headlines from the newspapers in Spain as Real Madrid star Cristiano Ronaldo is considered a heavy favourite to be crowned Ballon d’Or winner. – A good Barca overcome Atletico in a workmanlike game and continue on Madrid’s tail. 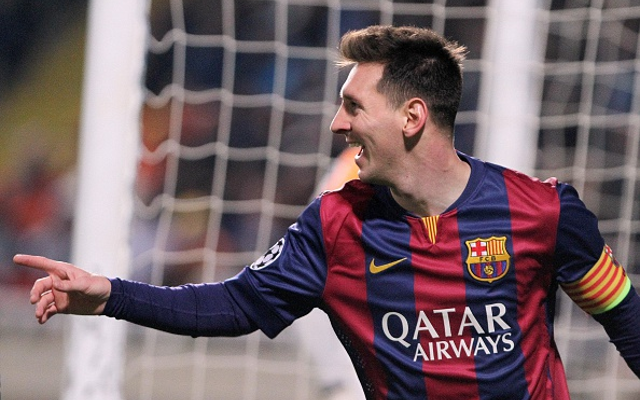 Lionel Messi led the change against a below par Atletico. – Leo: “They paint me as if I manage the club: I’m just one more, I don’t ask for anything and I don’t want to leave. This time the attacks are coming from Barcelona”. – CR7 goes for the triple crown. Cristiano is the favourite to lift the Ballon d’Or today, ahead of Messi and Neuer. – Calamitous Undiano: he didn’t see Messi’s handball for the second goal and didn’t give a foul for Gimenez’s ugly challenge on Neymar. – Cristiano the clear favourite. – The betting considers him the clear winner of the Ballon d’Or. Cristiano 1.28, Neuer 5, Messi 17. – Carlo Ancelotti, Joachim Low and Diego Simeone the candidates for best Coach. – James competes for the Puskas Prize for best goal of 2014. – Messi, with a handball to make it 2-0, scored the third, earned a penalty and said about the mess: “They are spouting rubbish and this time it’s not coming from Madrid”. – A recital of football from Barca with Messi, Neymar and Luis Suarez unstoppable. The Argentine, on top form, led a united and happy victory at the Camp Nou. – Messi speaks out. “I didn’t ask the President to sack anyone, they paint me as if I manage the club but I’m just one more”. – “My father hasn’t spoken to anybody, neither City nor Chelsea, and it’s all lies”. – Ballon d’Or: Leo, Neuer and CR7, the stars in Zurich.